It is symbolic that Martin Luther King Jr was born on this date, a time when the human family is reflecting on ‘renewal’. His name was changed from ‘Michael’, at age eleven, following his father’s travels to the German home of Martin Luther, the leader of the Reformation, in the 16th Century. Through a set of circumstances captured in the award-winning book Parting the Waters by Taylor Branch, he accepted the challenge to become the ‘drum major’ of that historic movement which transformed the United States, against powerful odds. Rosa Parks’ act and King’s eloquence, galvanized thousands of diverse people, not only to remove racial barriers, but to nurture a Dream of a better World. 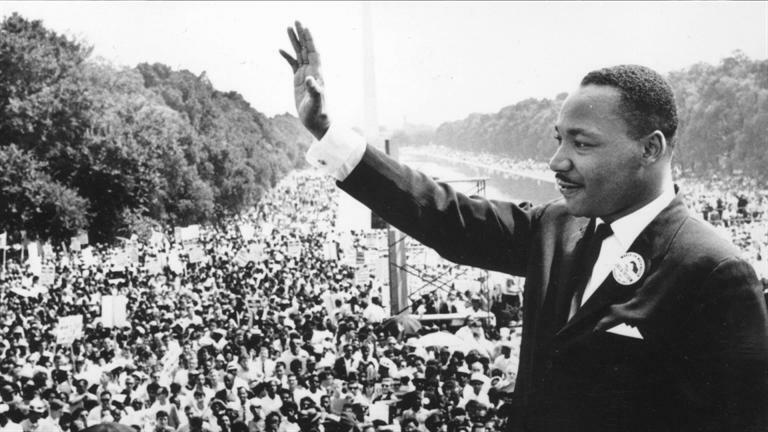 Those many unheralded people –including a Bermuda-born priest in Ohio – took action, in seemingly impossible circumstance, because of a sense of faith in themselves, people in general and a Universe – that in the words of Martin, ‘…bent towards justice.’ One of the slogans from that era was ‘Keep the faith!’. James Francis worked his way to eventually graduate from Wilberforce University in theology. Inspired by the active faith of so many, in 1962 he accepted the challenge of serving as the Priest to guide the revival of St. Simon’s Episcopal Church and its adjoining school in Lincoln Heights, a depressed suburb of Cincinnati. Two teens from Bermuda – Rex Darrell and Elbert Richardson, were able to witness first-hand, aspects of the effort by many who were prepared to ‘keep the faith’ in working to transform that corner of southern Ohio. Rex Darrell, was a 15 year-old from Friswell’s Hill, attending a boarding school in Ohio, where his uncle – Winton Williams – was the principal. Williams, who would later return home to serve as the first principal of Warwick Secondary School, knew James Francis. When a rally was planned for Martin Luther King in Cincinnati in the Spring of 1963, Francis invited Williams to attend the event. He took his nephew along for the 70 miles drive. What Rex found most memorable about the occasion was that his Uncle Winton accompanied Father Francis to an after-rally session with King and his team who all expressed their enthusiasm for what was happening in Lincoln Heights. Those pioneers recognized the work guided by Father Francis as an example of ‘keeping the faith’. In August of that same year, Father Francis led a group from his area to the nation’s Capital, for that historic March on Washington. A couple of years later, Father Francis’ nephew, Elbert ‘Apples’ Richardson went to live with him in Ohio, to complete his high school education. He was especially inspired by the approach of his uncle’s ministry in some of those tougher neighbourhoods, always ‘keeping the faith’. ‘Apples’ reports that there were many in the area who referred to his uncle as the ‘Hoodlum Priest’, since he would often go into bars, clubs and into streets for spontaneous rap sessions. Father Francis looked to to cool things off when tensions rose and he would often take along his 6’3’’ nephew, ‘Apples’ and his Alsatian dog. He continued that strategy in Cleveland and Detroit where he joined further efforts to ‘keep the faith’; prior to returning home and eventually becoming Canon Residentiary at the Bermuda Cathedral. As we reflect on the life of Martin Luther King today, let’s not only marvel at the past deeds of so many, but consider how we each might ‘keep the faith’ today. What ‘dream’ do we have for ourselves and our wider community? Rex was inspired by what he witnessed. After graduating from college he became an underwriter and served on the executive of the Insurance Underwriters’ Association of Bermuda, as well as a member of the Bermuda Hospital’s Board, for a number of years. Rex recalls, years later meeting members of the ‘Isley Brothers’ Group’ who originated from Lincoln Heights and how they remembered Father Francis and the importance of that ‘faith’. ‘Apples’ currently serves as a Superintendent for the Corporation of Hamilton and has been a life-long member of the Boulevard Football Club – serving as President during key periods. ‘Apples’ has always ‘walked the talk’, and maintains his community connections as he continues to encourage those he encounters to ‘keep the faith’. Thank you for a brilliant reflection. We salute you for your consistent community involvement. This is indeed a unique time for all Bermuda residents to reflect on our dreams and rededicate ourselves to achieving them.